The VIN Scan Mini is an easy, fast and error free way to capture Vehicle Identification Numbers into your software solution with the click of a button. It’s a must-have for every Advisor! Scan Vehicle Identification Numbers into your service drive solution with a single push of a button. No more manual entry and wasting time! 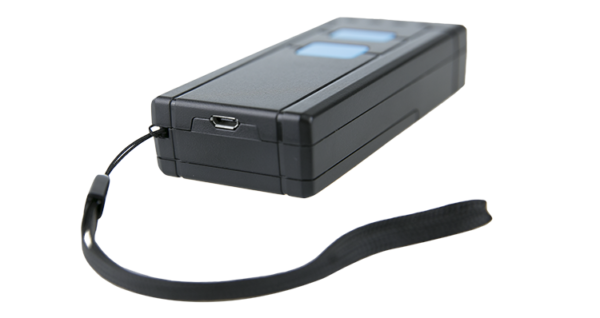 The VIN Scan Mini is a portable bluetooth enabled scanner that has been customized for the Auto Industry. Its light weight, miniature size, and long battery life make the VS Mini convenient while adding value to work flow efficiency. Programmed specifically to scan Vehicle Identification Numbers. This sleek device is also compatible with all iOS, Mac OS, Windows, and Android Devices. Simply scan the VIN number into your service drive solution with the push of a button. Powered by a long-lasting 800 mAh battery, you don’t need to charge for days! Why make the customer wait? Improve the overall experience by quickly scanning a vehicle’s VIN. Did we mention it fits into a pocket? The Vin Scan Mini helps dealerships like yours streamline their process. The Vin Scan Mini uses LED image technology to scan the VIN number of a vehicle. It’s pre-programmed to meet the latest needs of the automotive industry. Equipped with wireless Bluetooth communication, 2500 pix resolution scans instantly. Data can also be saved in scanner memory, which can hold over 10,000 VINs. 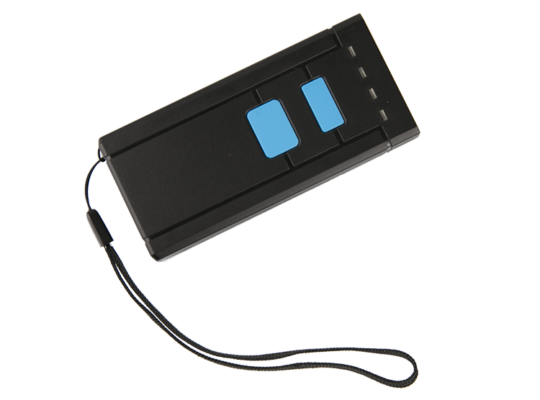 The VIN Scan Mini is a portable Bluetooth enabled scanner that has been customized for the Auto Industry. Its light weight, miniature size, and long battery life make the VS Mini a no-brainier for Dealership Staff. We love hearing from our clients - whether you have a question, or need a hand with set-up, we’re happy to be of assistance. Ping us using the Live Chat feature at the bottom right corner to connect with a rep. Alternatively, you can leave us a message and someone will get back to you within 24 to 48 hours, or call us at 1-888-407-1191. We look forward to serving you! Copyright © 2017 Aramas Trading Inc. All rights reserved.